One of the main components of the franchise systems is that the larger corporation has multiple smaller businesses in different geographic locations. Similarly, though franchises usually have a main corporate web site that offers information about its products to customers, they also usually have local listings or web site for each franchisee owner and location. Stark Logic can provide comprehensive franchise local marketing strategies to each of your franchise’s locations in order to increase business and overall brand awareness. Google Places is a thing of the past. 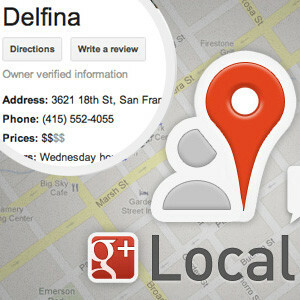 Google is now integrating business listings with their social network Google Plus. Therefore, business owners and franchisees must have a personal Google Plus account to link to their Google Plus business listing. Stark Logic will work with franchise local marketing methods to set up their Google Plus accounts and optimize their Google Plus Local listings. Google Plus Local optimization is a process to claim your business listing and make changes so your business will show up at the top of Google’s Local Directory. Google Organic listings are shown to the right just below the Places results. However, many times these are the first results on the page. With optimized Places and Organic results, we will get your franchise listed multiple times on the first page of Google. Google Pay Per Click marketing (also known as AdWords) requires you to pay each time someone clicks on the links shown. The more you bid for each click, the higher your ad appears in the shaded area. We can manage your AdWords campaign. When customers search for a local business, they normally type in a geographical phrase at the end of the desired keyword such as “plumber in san diego” or “dentist colorado springs.” When Google determines that the search being performed is locally targeted, the results come back from Google’s local directory. 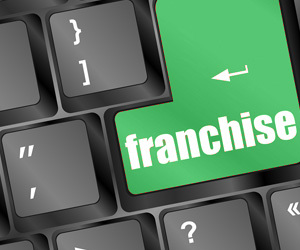 When optimizing your franchise web site and franchisee micro sites through franchise local marketing, we will do extensive research to put together a list of commonly used keywords and combine them with geographic locations that you serve. Locally targeted keywords are much more specific, so the pools of results that Google searches through are much smaller. In this way, each of your franchisee micro site pages will be optimized to show up at the top of the search results for a locally targeted keyword. The marketing landscape has changed for franchises and local businesses alike. Google Places has changed to Google Plus Local, and social media is also playing a larger part in search engine results than ever before. Stark Logic works with business listing aggregators that feed over 150 local business listing directories. Once you understand the different areas of Google’s search results page, you can get an idea of what need to do to get your franchise web sites ranked. Stark Logic will work with your franchise and franchisees to standardize your list of locations and their respective information so that your data is consistent across all directories and platforms. Our franchise local marketing strategies pull in multiple aspects of web design and optimization to make sure that each of your franchise locations has a strong online presence.